Best Actress in a Leading Role makes call for more inclusion. Authentic representation of disability wins Best Live Action Short. Best Picture Winner goes to film with actor playing a disability she doesn’t have. Diversity and inclusion segment omits people with disabilities. Los Angeles, Calif., March 5 – In a historic call for more information, Academy Award winner Frances McDormand called for an inclusion rider in contracts – a provision that ensures diversity and inclusion in not only the cast of a Hollywood project, but also the crew. The result can lead to a Hollywood A-lister ensuring gender, racial, LGBTQ and disability equality via his or her contracts. “For those of you asking about the #InclusionRider, it’s designed to ensure equitable hiring in supportive roles for women, POC [people of color], the LGBT community, & people w/disabilities,” the Annenberg Inclusion Initiative tweeted. Stacy Smith, its Founder and Director, previously talked about this concept during a 2016 TED Talk. A big winner in the field of disability inclusion is The Silent Child, which won the Oscar for Best Live Action Short. The film is about Libby (Maisie Sly), a four-year-old girl who is deaf. Sly is deaf herself, which is important to note as the majority of films winning for portrayal of disability often feature actors without the disability. In accepting the award, Rachel Shenton, who wrote the script, signed her speech in British Sign Language in addition to speaking. The Oscar for Best Picture went to The Shape of Water, which stars Sally Hawkins as a janitor without speech who falls in love with an amphibian held captive at the laboratory where she works. Hawkins herself does not have a speech disability, which is common when it comes to casting actors portraying people with disabilities. In fact, nondisabled actors on television play more than 95 percent of characters with disabilities. When an actor mimics someone from any minority group, whether it be racial or disability, he takes a job from an actor who genuinely has that characteristic and perpetuates that group’s under-representation in the industry. Yet it is important to note that Hawkins does have a chronic illness, an invisible disability. 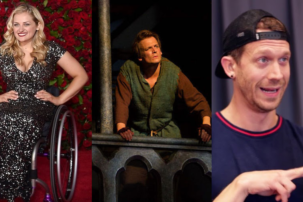 A common misconception is that including actors with disabilities will be too costly. According to a study conducted by the Job Accommodation Network, a service of the U.S. Department of Labor’s Office of Disability Employment Policy, a majority (59 percent) of accommodations do not cost a single cent, while the rest typically cost only $500. Three of the films nominated for Best Visual Effects – Star Wars: The Last Jedi, War for the Planet of the Apes and Guardians of the Galaxy – included team members with Autism working for Exceptional Minds’ studio that employs young adults on the autism spectrum in digital animation and visual effects. It was a night of firsts for women, people of color (Jordan Peele, first black screenwriter to win best original screenplay) and the LGBTQ community (A Fantastic Woman features a transgender storyline with an openly trans actor in the lead role), among others. Ashley Judd, Anabella Sciorra and Salma Hayek Pinault specifically drew attention to the #TimesUp and #MeToo movements during a special segment. Following their speech, a video outlined how the Academy is working to increase its diversity and inclusion efforts – from gender and race to those who are transgender. However, people with disabilities, the largest minority group in the U.S. that also cuts across every demographic, were left out of this segment. 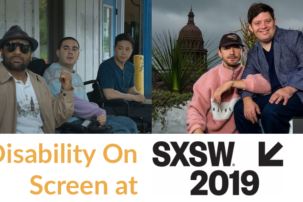 RespectAbility, a nonprofit organization focused on fighting stigmas and advancing opportunities for people with disabilities, is working to promote more accurate, positive portrayals of people with disabilities in film and television. According to The Media, Diversity, & Social Change (MDSC) Initiative, only 2.7 percent of all speaking or named characters in film were shown to have a disability in 2016 (up from 2.4 percent in 2015). None of the leading characters were from an underrepresented racial/ethnic group or the LGBT community. The success of films like Black Panther, Wonder Woman and Coco prove that diversity wins. Pixar’s Coco took home the Oscar for Best Animated Feature. 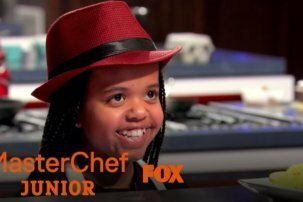 Its producers talked about the importance of including all. Pixar has long been a leader in diversity and inclusion and has the opportunity to continue to lead by example by including more people and characters with disabilities in their future films. Love it, when i teach my art classes for the city of Santa Monica CA , i love what learning different students teach me! Dyslexic students learn to paint twice as fast as others and show me how make my business cards on the computer. Autistic students paint beautifully with both hands at the same time. Really glad to see Black Panther and other movies get recognized for their characters. However, the autism community keeps getting ignored. Ever since and including “Rainman” which came out in 1988, all autistic characters have largely been seen as savants on the big screen (movies) or small screen (TV series) – and currently, The Good Doctor is no exception. All of those movies and tv series have been played by or currently played by a non-autistic actor/actress. This has to change. As an autistic adult, I refuse to see any episodes of The Good Doctor. I will continue to forego watching anything in the future in which an autistic character is played by a non-autistic actor.